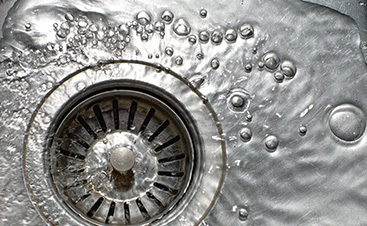 As a homeowner, it’s important to be in the know about your plumbing system. 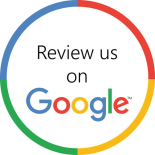 Although it’s always a good idea to rely on a licensed plumber when you are in need of plumbing services, like repairs or maintenance, it’s still essential for homeowners to know a little bit about their plumbing systems. You don’t necessarily have to know how to fix a leaking faucet or thaw a frozen pipe, but it is important that you understand the truth about common plumbing myths. And that’s why we’ve set out to debunk some of the most common plumbing myths in this blog series. Myth #1. You can save water by putting a brick in the tank of your toilet. Some people claim that, by putting a brick in the tank of the toilet, you’ll save water and, therefore, money. The logic behind this myth is sound — if there is less room in the tank, less water will be required to fill it back up after each flush. And while that may be true, putting a brick in your tank is a recipe for disaster. The brick could do serious damage to the flushing mechanisms in the toilet, and over time, it will start to deteriorate in the tank, creating a big mess. If you’re concerned about your toilet using too much water, it may be time to consider investing in a new one. Older toilets will typically use between three and five gallons of water per flush, with some models using up to six gallons. The current standard in the United States for new models, however, requires that toilets use no more than 1.6 gallons per flush, which adds up to a lot of savings over time. Myth #2. If the package says “flushable,” wipes are safe to flush. Flushable wet wipes are all the rage in this day and age, and a lot of people prefer using them to toilet paper because it makes them feel “cleaner.” If you’re an enthusiastic wet-wipes user, you’ll be disappointed to learn that — whether the wipes are flushable or not — it’s never safe to flush wet wipes down the toilet. The term “flushable” simply means that the product will physically go down the toilet when it’s flushed, not that it’s okay for your plumbing system. Flushable wipes have clogged many a sewer line and have caused countless plumbing problems, and they’re also bad for the environment. If you’re worried that you’re not getting clean enough with toilet paper alone, there are some alternative products that can help, without clogging your plumbing system. One option is to use a toilet paper spray or a toilet paper moistener. If you’re really committed, you could also consider installing a bidet in your home. 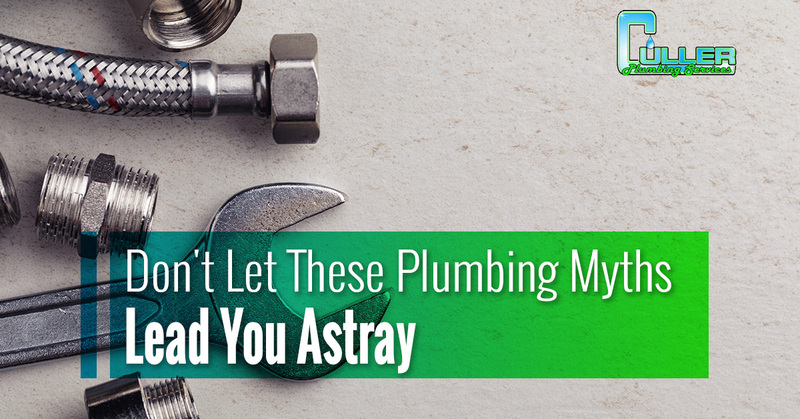 These are so many common plumbing myths that will not only fail to fix the plumbing problem you’re dealing with but could even make it worse. 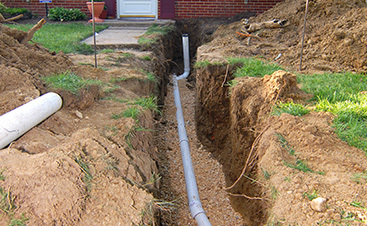 Learn the truth about more plumbing myths in our next blog. 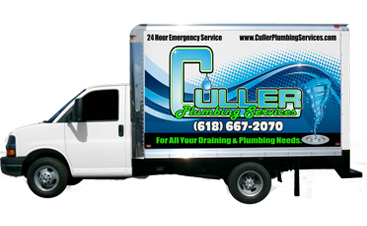 And if you’re facing a plumbing problem, turn to the experts at Culler Plumbing Services in Belleville. We even have an emergency plumber on staff who can help 24 hours a day, seven days a week.